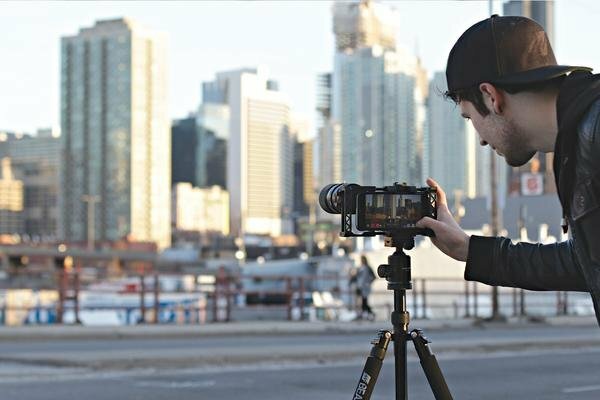 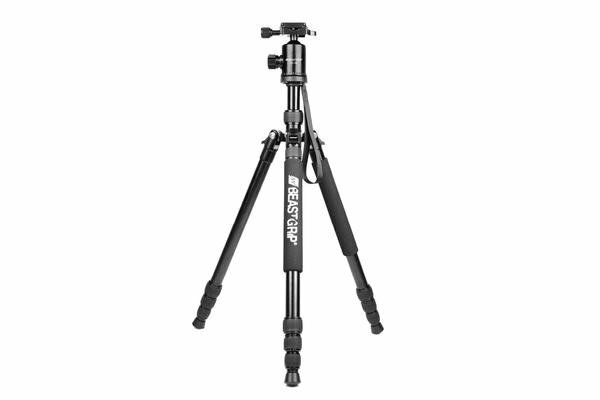 The Beastgrip BT-100 is a sturdy aluminum tripod to mount your Beastgrip Pro or camera on while shooting. 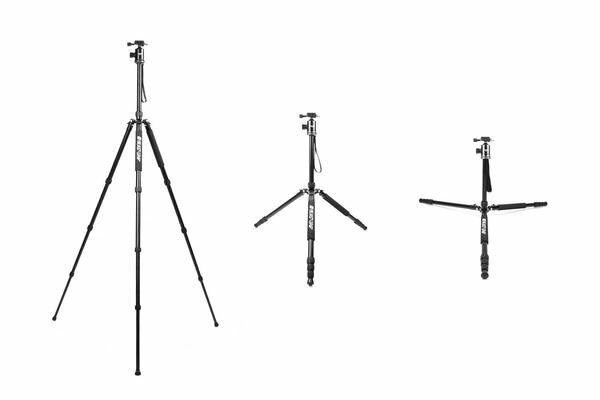 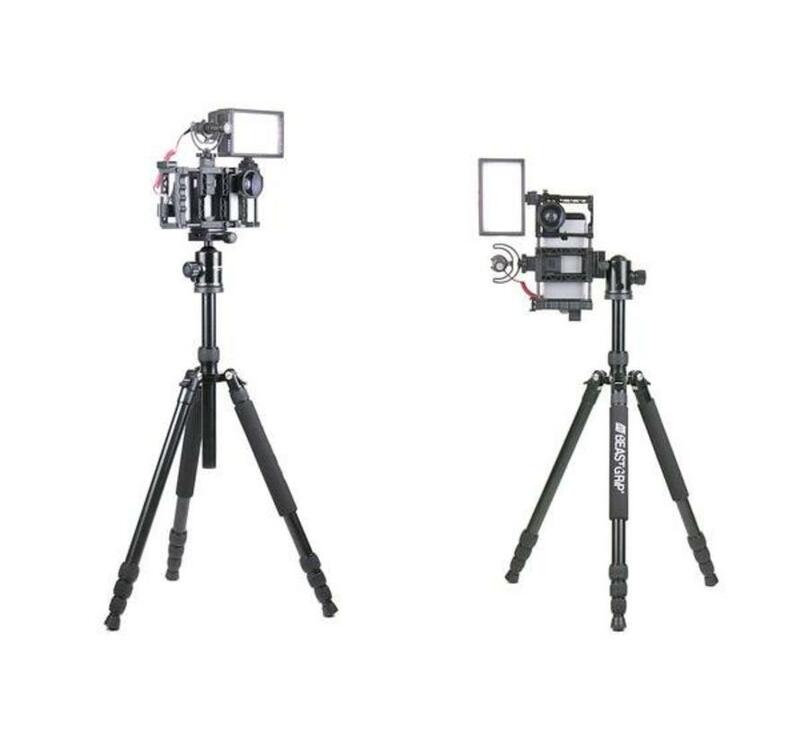 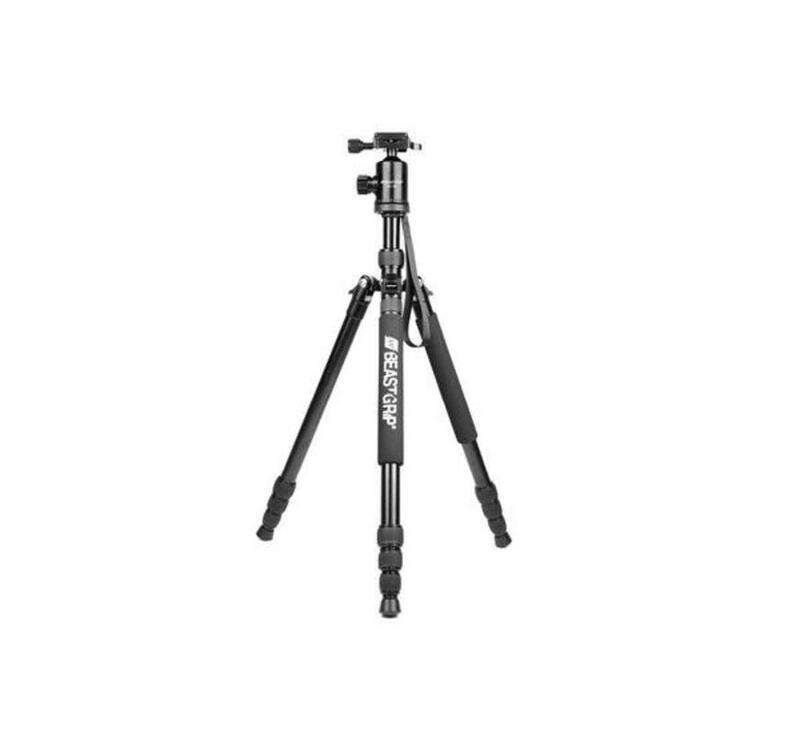 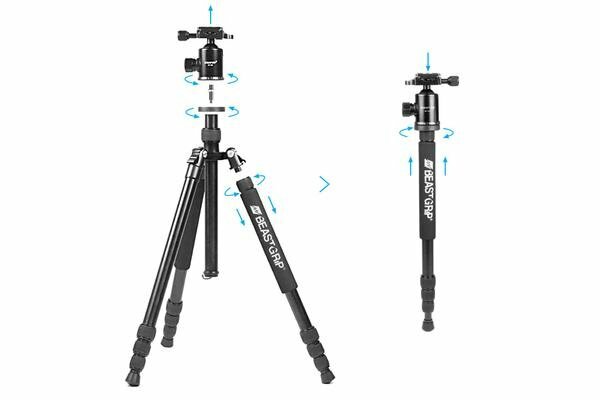 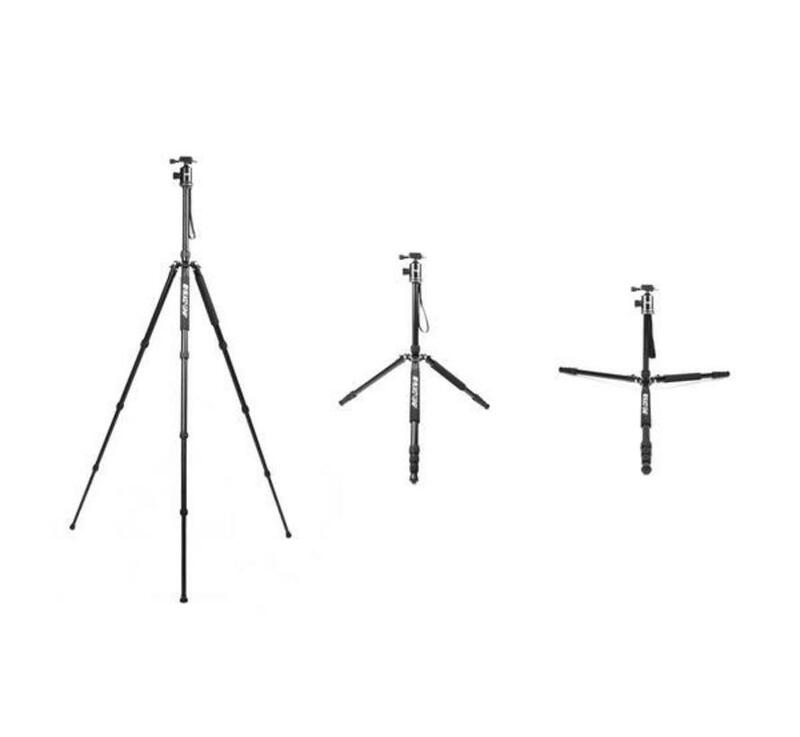 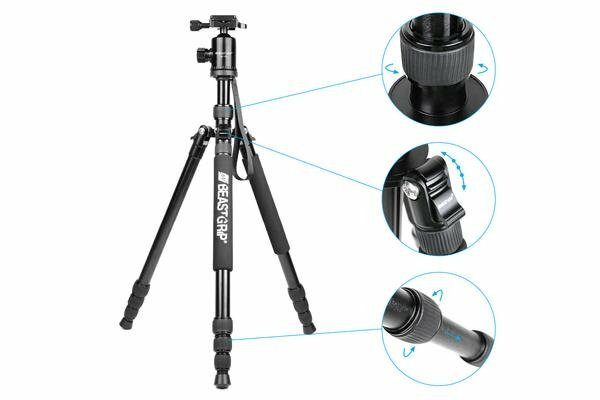 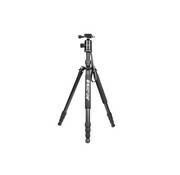 It adapts to any scenario with an interchangeable design that converts from a tripod to a monopod or low-profile tripod in seconds. 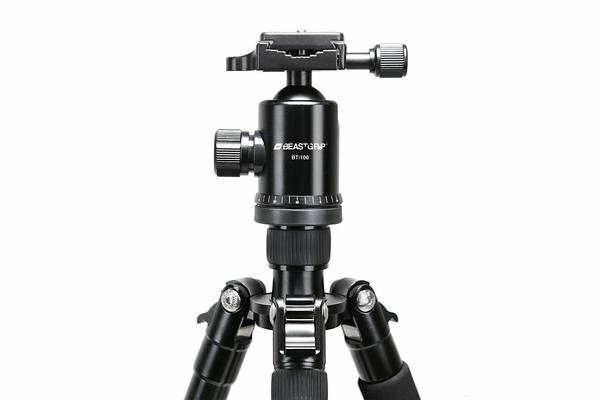 The Beastgrip BT-100 is a sturdy aluminum tripod to mount your Beastgrip Pro or camera on while shooting. 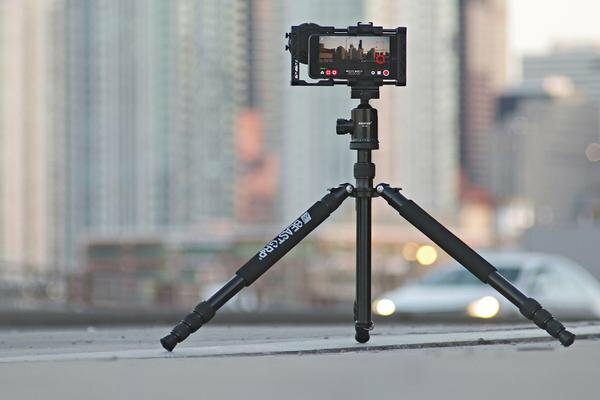 It adapts to any scenario with an interchangeable design that converts from a tripod to a monopod or low-profile tripod in seconds. 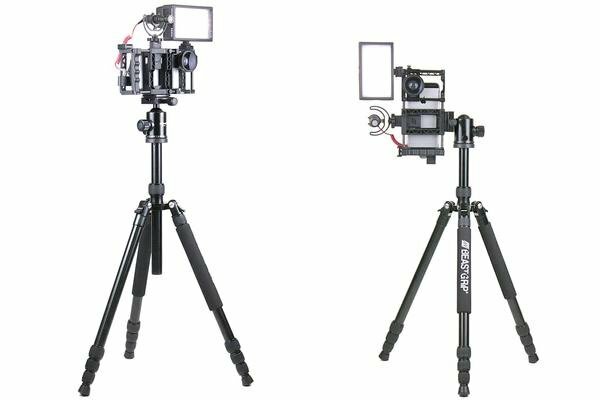 The center column can also be inserted upside down for close up ground shots. 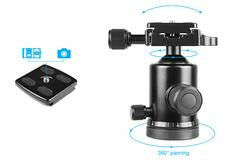 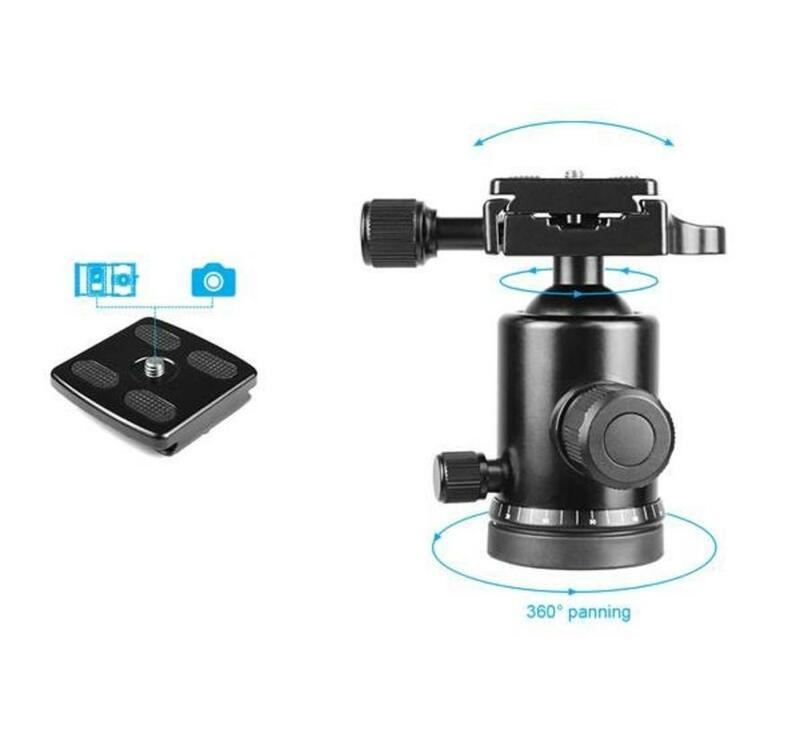 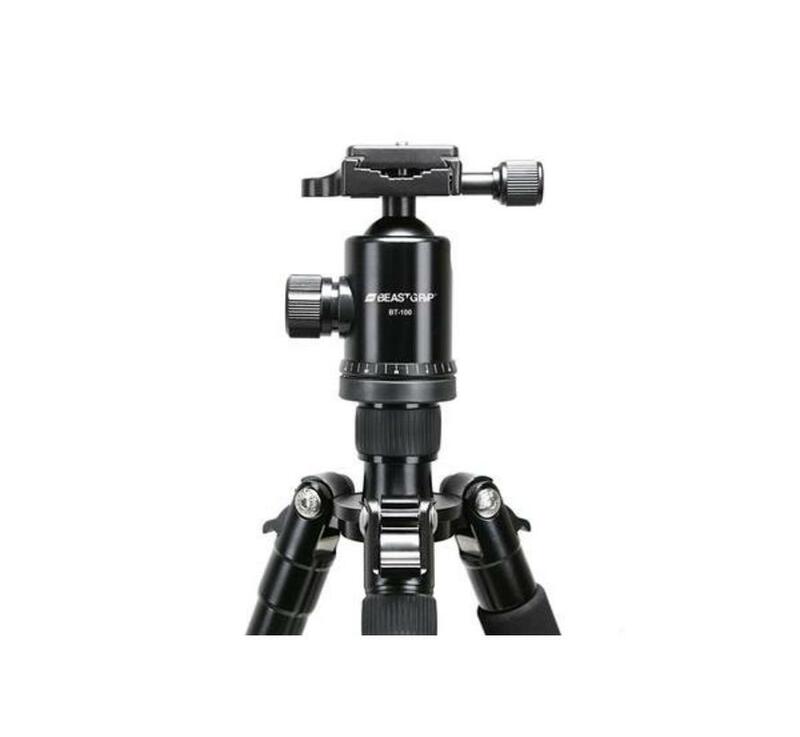 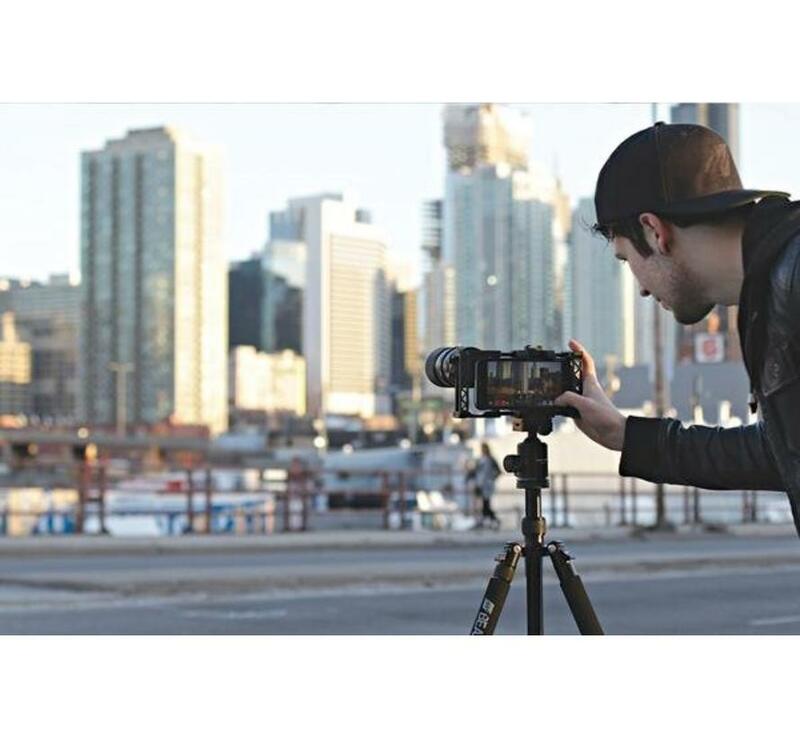 Its included ball head has a quick release plate for swapping cameras on the fly and allows you to pan a full 360° and experience a 90° tilt/pan to get the perfect angle for your shot. 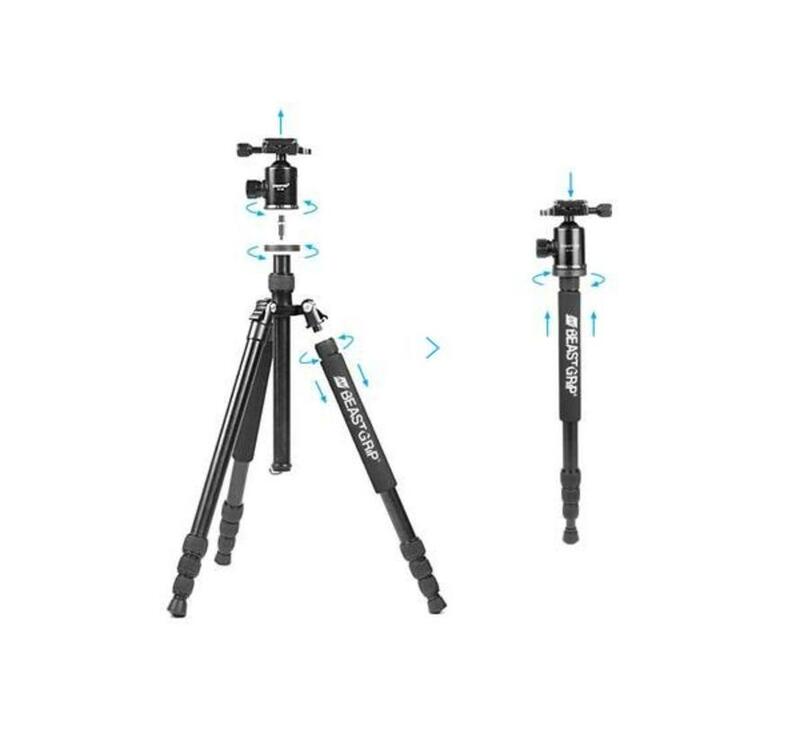 It extends up to ~64 inches and folds down easily to a compact 18 inches for travel. 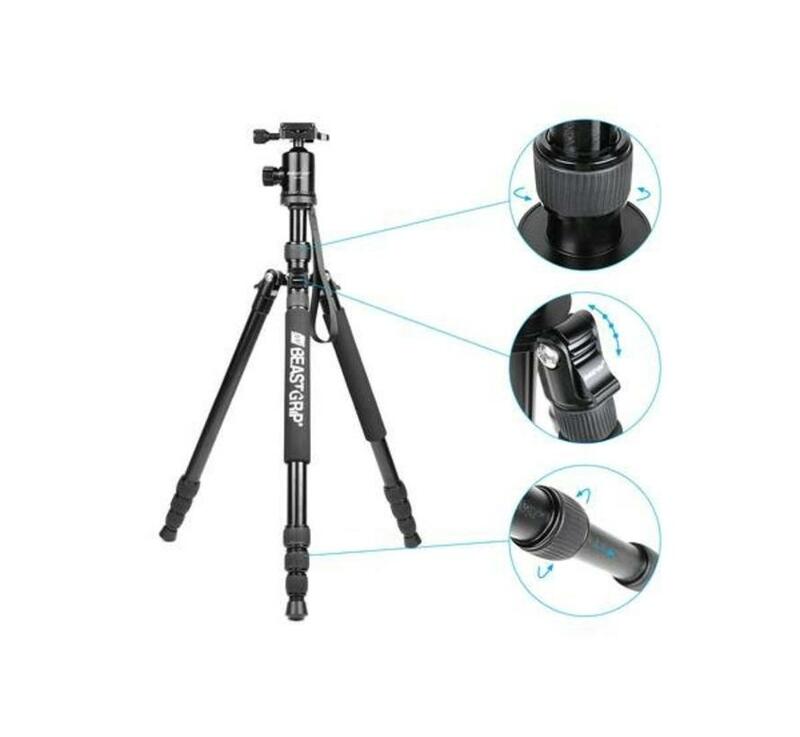 Includes a travel bag and hand strap to take it anywhere at a lightweight 3.8 lbs. 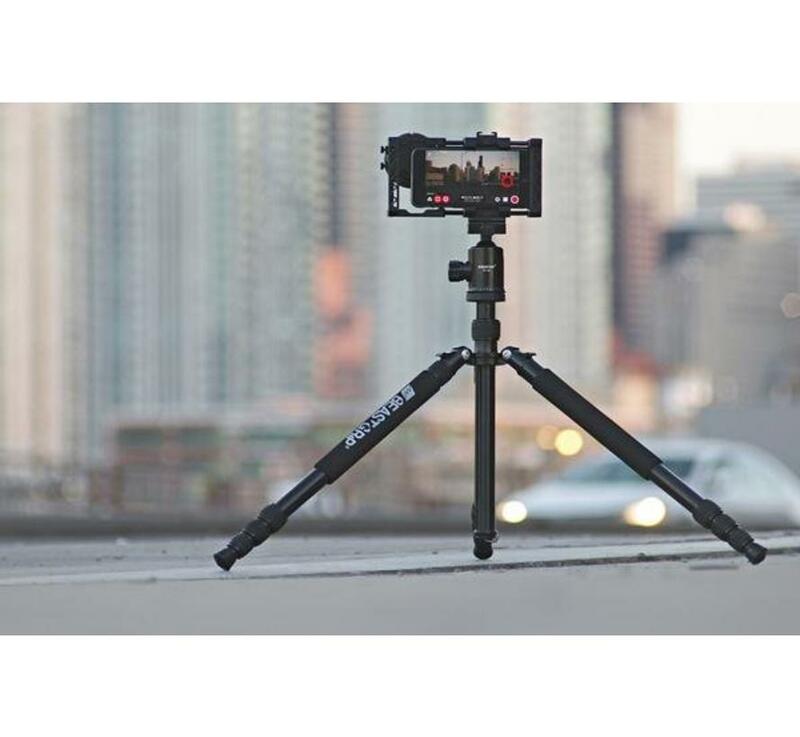 The BT-100 is perfect for live streaming, mobile journalism, steady/still shots, or as a monopod for “run and gun” shooting situations.